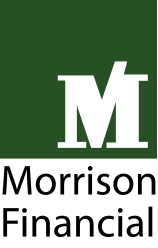 Morrison Financial is one of Canada’s longest standing private finance firms, and is responsible for financing the Gates of Edgehill project. With roots in traditional asset based lending, they have expanded into several different areas, becoming one of the largest and most diverse private financiers in Canada. They believe in providing more than just capital; their financing and investment approach is disciplined and prudent, but flexible in terms of providing creative solutions for clients. 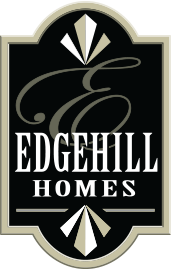 Edgehill Homes is responsible for the development of, as well as the conception, planning and negotiation for the Gates of Edgehill. Dedicated to the enhancement of the Parish of St. Mary, Edgehill Homes is proud to participate in the creation of a community that enhances the area. Complete Development Solutions is responsible for the project management and construction of the Gates of Edgehill. 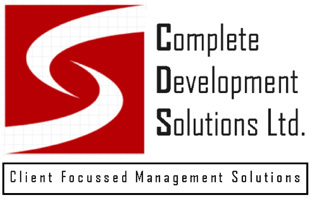 They offer a comprehensive suite of project management services, from concept to planning, execution and project close out. Through their valuedriven approach, they bring their clients a blend of coordinated planning processes, innovative project management practices and vast construction knowledge. Dunsire Developments is a turnkey Canadian Homebuilder, servicing clients with their development projects from start to finish. Dunsire is dedicated to bringing communities to life by constructing homes that are well built, environmentally mindful and value conscious. At Gates of Edgehill, Dunsire is the owner’s representative tasked with overseeing and approving major aspects of the development from contracts, budgets, negotiations, supplier relations, sales, marketing, PR and strategic insight. Over the years, their strong corporate values and commitment to excellence has resulted in trusting partnerships with homebuyers. They believe people don’t just purchase a home, they purchase a lifestyle, which Dunsire enhances through attention to detail and quality workmanship. Nicholson Phillips combines a high level of expertise with dedication to quality service which is what makes us a partnership you can trust. We specialises in corporate, commercial, litigation, property law and related areas offering our services to local and international investors in real estate, commerce and commodities, to financial institutions and private clients. Our dual jurisdiction qualified founders and partners Lorna Phillips LL.B., LL.M and Manley Nicholson B.A., LL.B., bring to clients their collective legal and business expertise gained in Jamaica, Canada and the United Kingdom, making our firm well-equipped to meet the needs of sophisticated clients operating in the global marketplace. We provide the type, level and quality of service that can help clients attain and maintain commercial and personal success. To that end, the client focussed and timely approach of our dedicated expert legal team and our highly qualified, well-trained and friendly support staff have earned us the success and trust of many persons who have become clients since our formation in 2000. The JN Bank, through its predecessor, the Jamaica National Building Society, for 14 decades, has been providing housing solutions for its members and clients, through attractive mortgage rates and simplifying the acquisition process. As a trusted financial institution, we not only focus on the bottom line, but, also seek to satisfy our members’ and clients’ needs. Built on this legacy, JN Bank continues to be dedicated to its members’ financial growth and success.